L'Dor V'Dor....This gorgeous hand painted seder plate for the holiday of Passover will be used from generation to generation. It is a beautiful torte plate�trimmed in 18 karat gold and is hand painted with green vines symbolizing Springtime. 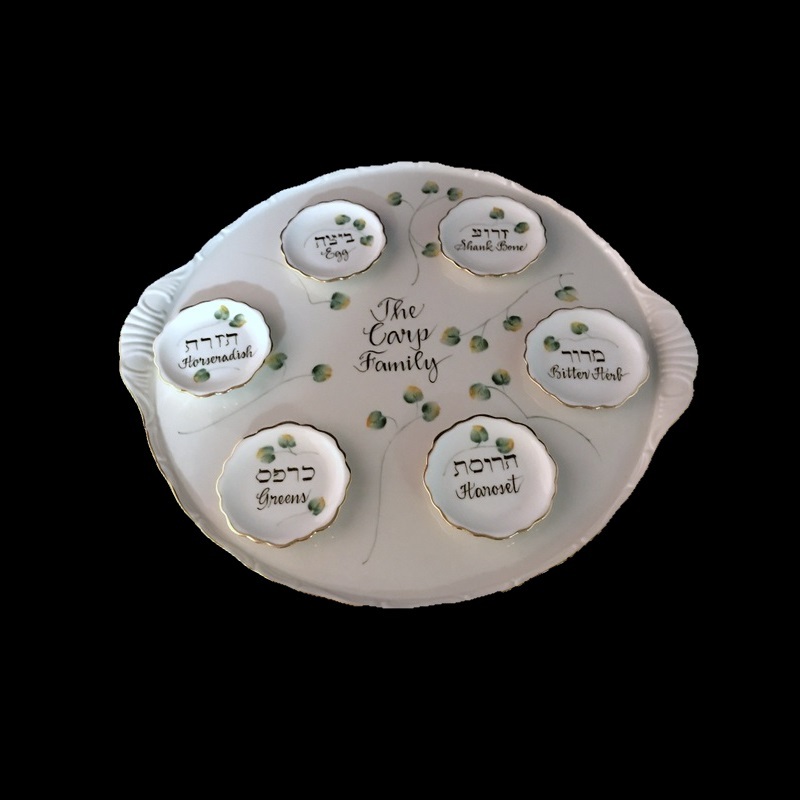 Bev personalizes in both English and Hebrew the six items on the plate on individual bowls that can be taken off the tray.� Each item has special significance to the retelling of the story of Passover. The family name, monogram initials, Pesach written in English or Pesach written in Hebrew can be personalized in the center of the Seder plate.� A gift box with tulle ribbon and enclosure card is complimentary with your purchase.